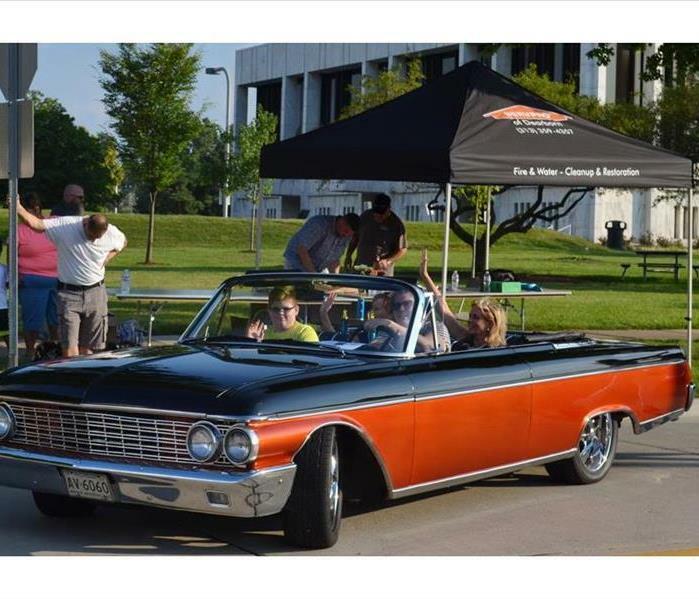 One of Dearborn's best traditions is the Classic Car Cruise on opening day of Homecoming. For years, our crew member, Tom, has driven Mayor O'Reilly and US Congresswoman Debbie Dingall in the lead car. Sadly, Tom passed away in June. In a beautiful tribute, Tom's daughter Alicia and grandson Ethan drove the Congresswoman in Tom's beloved 1962 Ford Galaxie Convertible. We are so happy Alicia and Ethan are keeping this tradition alive. And we love delivering the dignitaries to the event is style! 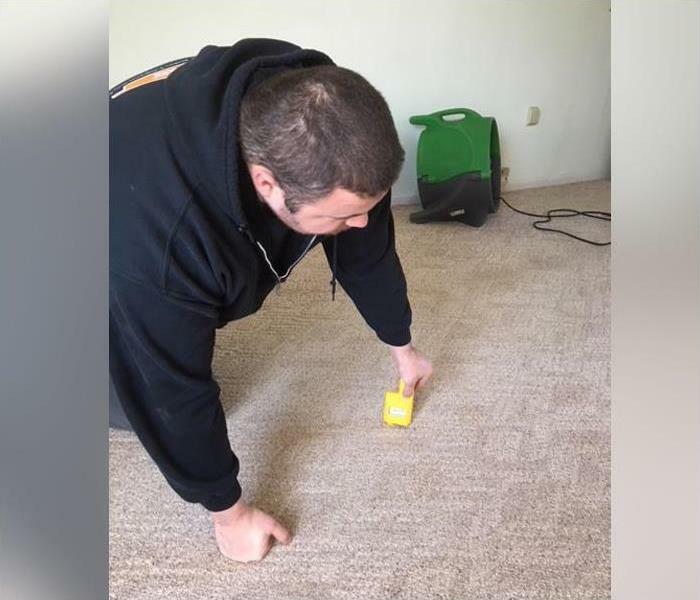 Whether it requires a specialized piece of machinery like "The Stripper" or a very sharp blade and some elbow grease, SERVPRO of Dearborn has the right tools for your project. Flood waters came rushing into this office thru the front door. After extracting, running dehumidifiers and fans for days, we test to be certain the carpet and padding are dry. The subbasement of this huge office building became the dumping ground for everything cast out of the working area. The neglected area quickly developed mold. 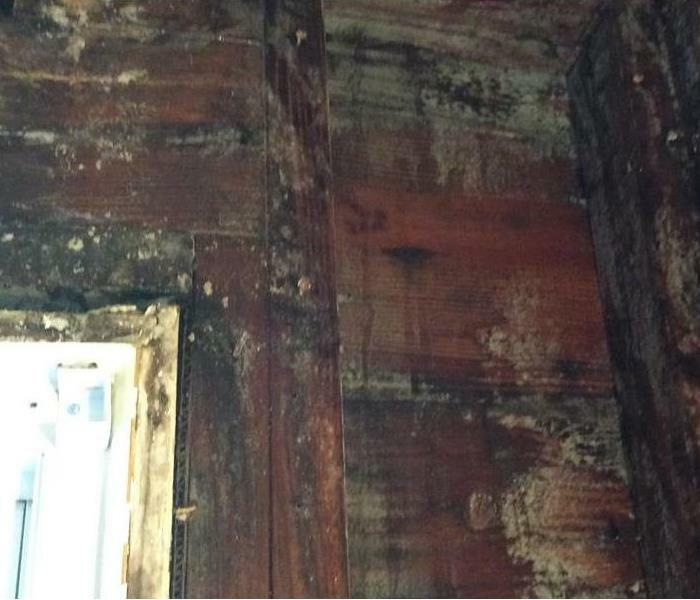 We removed the mold, dried and sprayed the area with antimicrobial to prevent future mold growth. 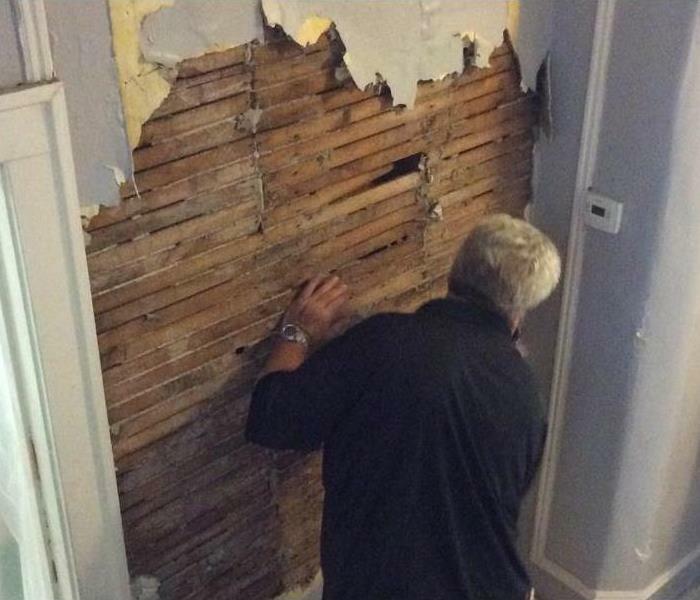 Mold in a home with lath and plaster walls poses a special challenge. 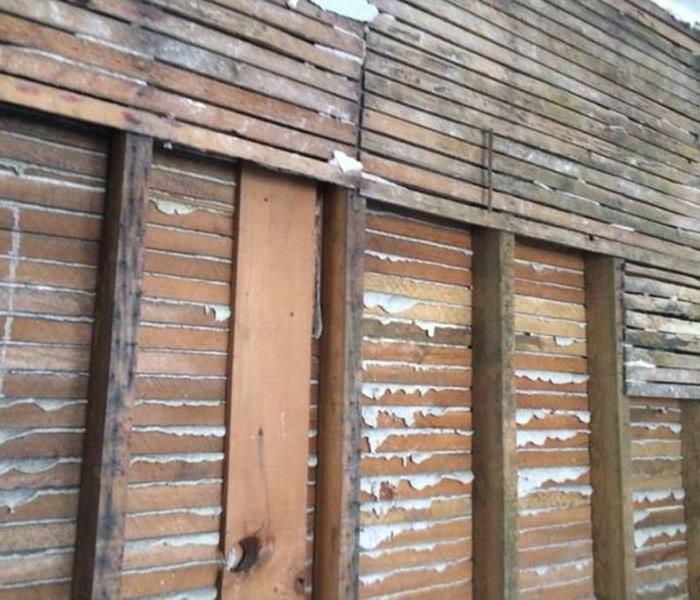 The plaster must be removed without disturbing the mold covered lath. Our highly trained technicians use special techniques to ensure this happens. A winter storm knocked out power to this Dearborn Heights home. 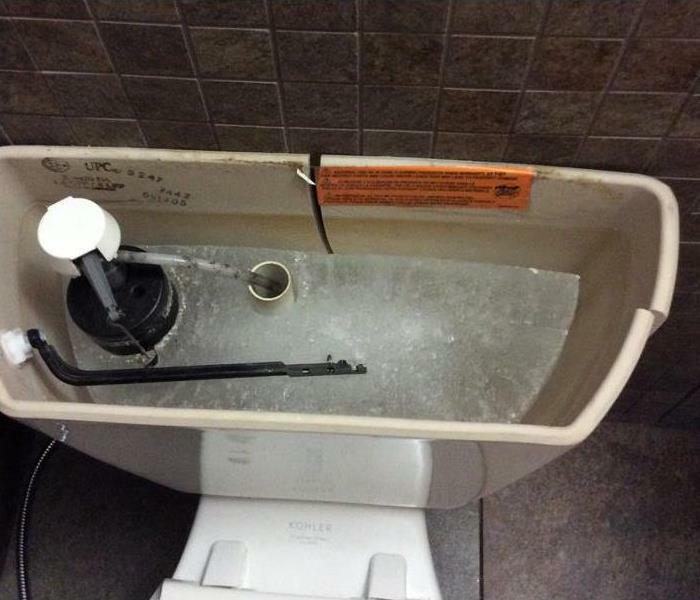 With no heat the standing water in the toilet quickly froze. The broken pipes covered the floors in water creating an ice rink in the living room. The water supply line bringing cool water and constant ice to you kitchen can be troublesome. Because the line is hidden, a leak can go undetected for a very long time causing extensive damage. In townhouse style homes, like this Detroit condo, pipes run in unexpected places. A frozen pipe caused extensive damage in the condo's garage during a recent unprecedented cold spell. Strong, sudden storms ripped the shingles right off the roof off this Dearborn Heights, Michigan house. It's important to repair and/or replace shingles quickly to avoid costly water and mold damages. One of our favorite annual events is selling newspapers for the Dearborn Goodfellows, a local charity ensuring Christmas for all area kids. 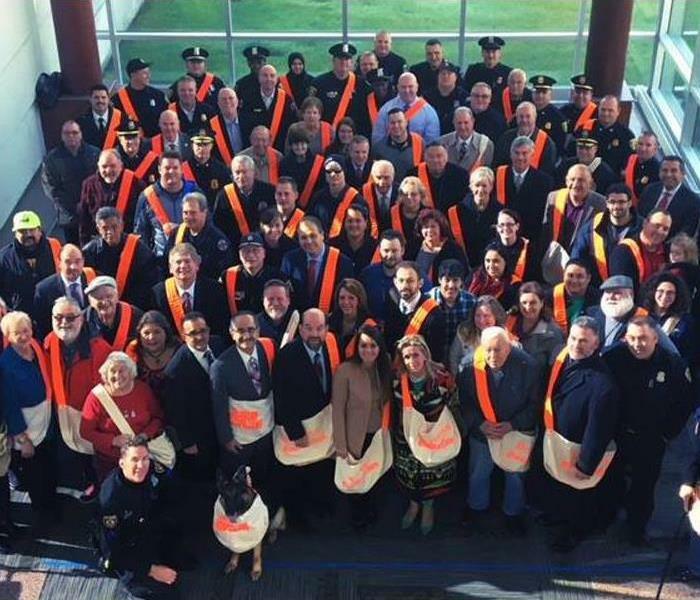 SERVPRO of Dearborn staff is mixed in the photo amongst our Mayor, Police and Fire Chiefs and our US Congresswoman Debbie Dingall. A fire on another floor of this Dearborn, Michigan home caused heavy soot damage to the upper level. Notice the grid pattern on the ceiling and walls. Soot is largely absorbed by drywall. These lines form on the tape and screws which cannot absorb the soot. Our Detroit homeowner had a fire that covered this grass, wood and leaf sculpture in soot. 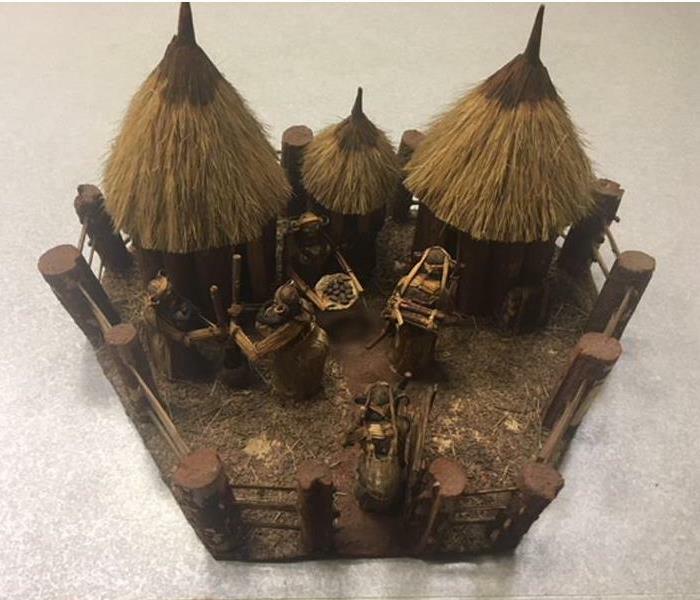 It was a gift from an indigenous tribe in Nigeria. Hours of delicate work with brushes have restored this irreplaceable piece. 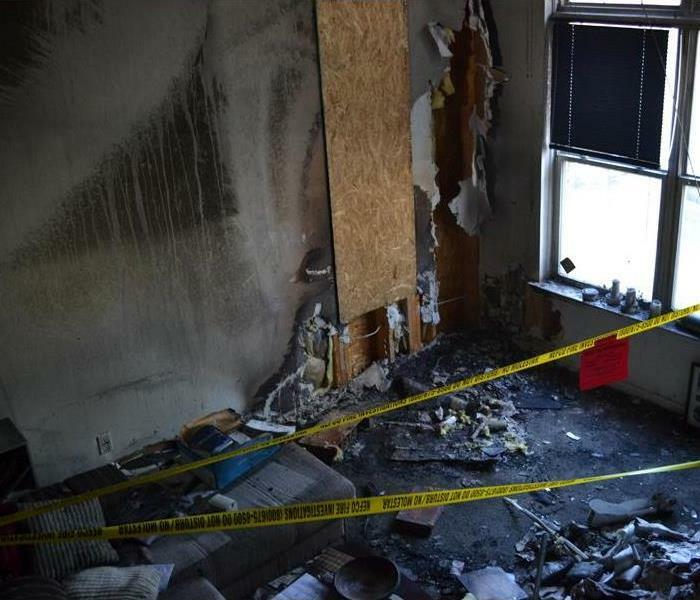 This devastating fire in Downtown Detroit started in the electrical surge protector - the device designed to prevent fires. 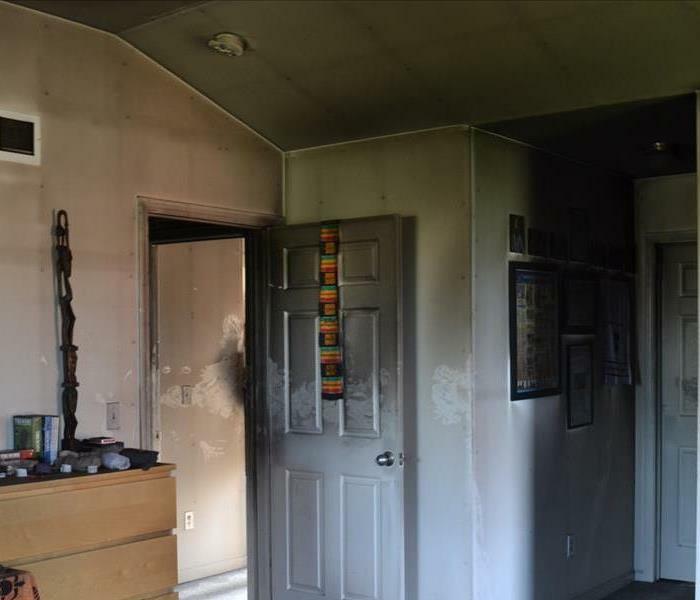 The homeowner lost all of his possessions, but was unharmed. We are currently working to reconstruct this home. This funeral home job was a delicate operation. The commercial office area needed demolition, but the public area needed to remain accessible to bereaved families. We set up containment to keep our dust away from the families and their guests. If you live in Dearborn, Dearborn Heights or anywhere along the Ecorse and Rouge Rivers, you've probably seen this after a rain storm. 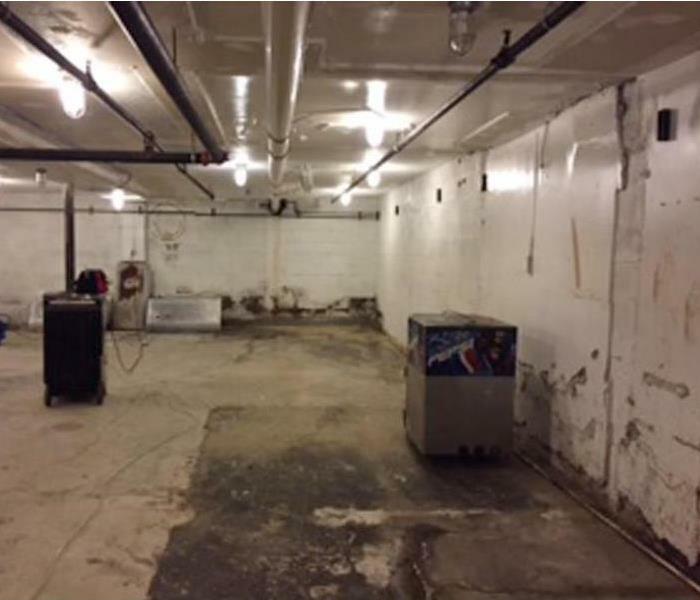 SERVPRO of Dearborn is proud to have helped many of our neighbors with flooded basements. 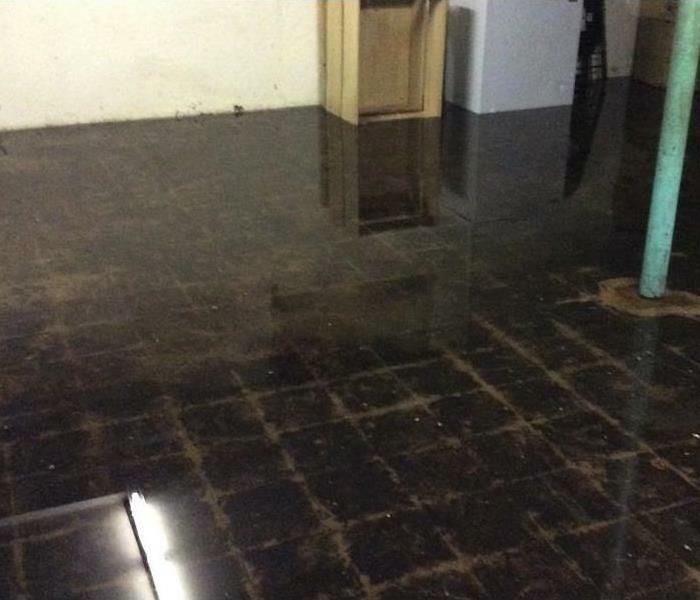 An historic commercial building in Detroit had a water leak on an upper level causing damage to the public area. Plaster and lath construction complicated the demolition. Special care was taken to minimize damage to this historic gem. 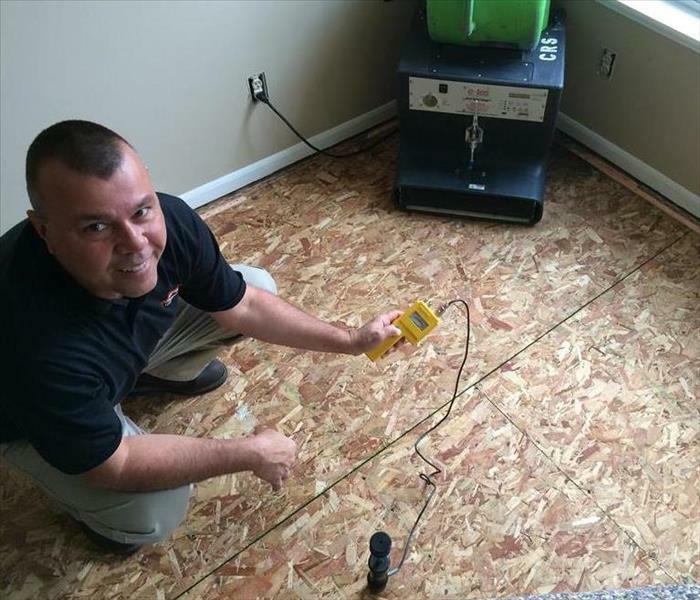 Our Crew Chief, Dan, uses a specialized meter to measure the moisture content under the floor boards. 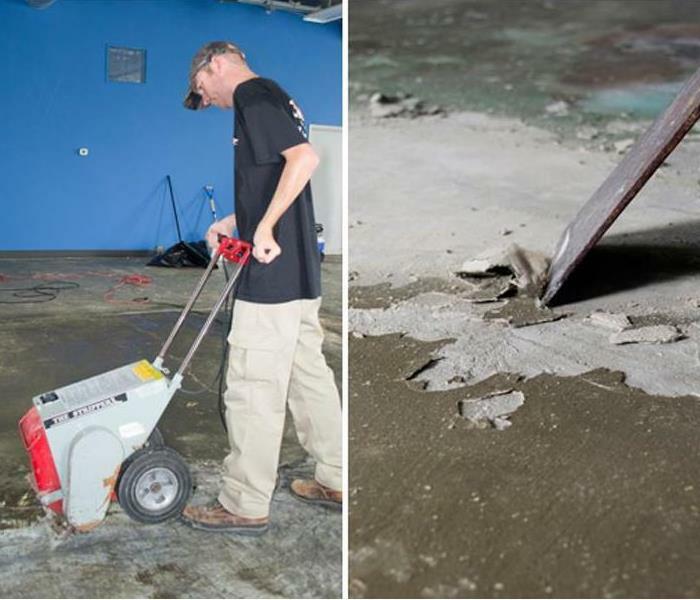 Many times in a water loss, the top layer of flooring needs to be removed so we can address underlying damage. This ensures the subfloor is thoroughly dry before any new flooring is laid. Heavy rains caused the storm sewers of Dearborn, Michigan to over flow. Once the sewer water recedes, we get to work cleaning, drying and disinfecting. Since a host of unknown contaminants were left we sent in our trained bio-hazard specialists to clean and sanitize the basement floor. 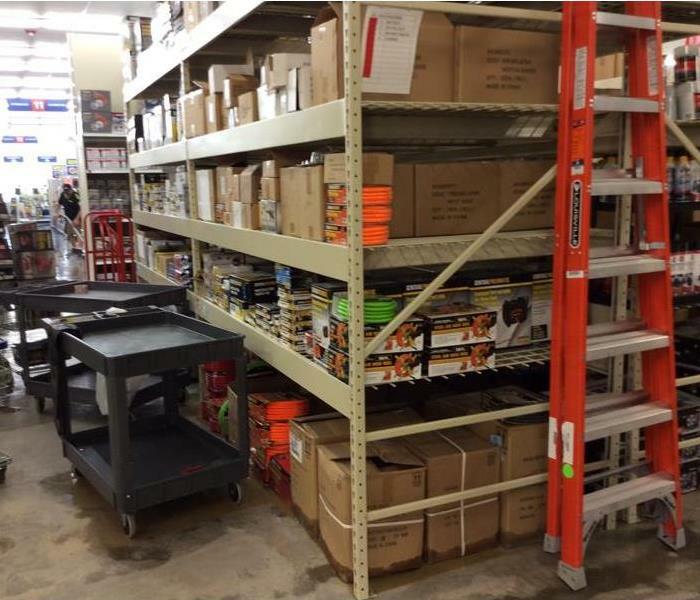 A national brand retailer's Dearborn, Michigan store flooded in the middle of the night. Our 24 hour a day, 7 days a week response team arrived in the early morning hours and got the 20,000 store open for business! Even a small fire can wreak havoc. 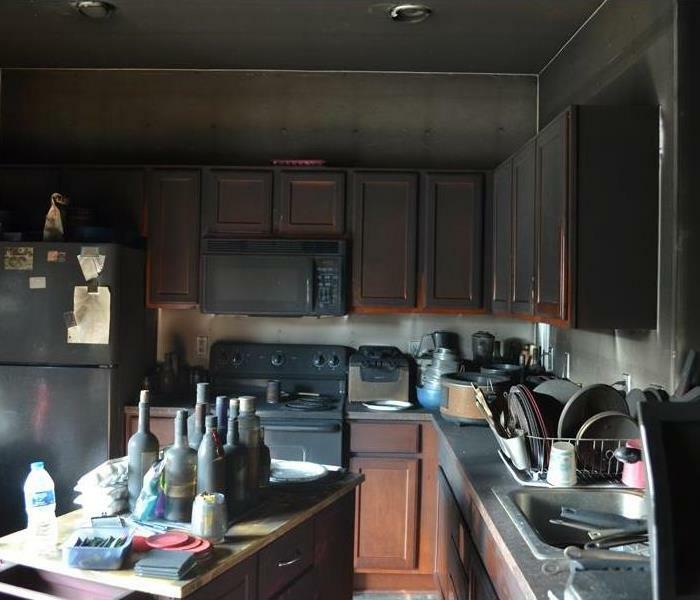 This Detroit, Michigan kitchen and many of its contents were damaged in a small fire in the adjacent living area. SERVPRO of Dearborn is working to rebuild the kitchen now. Check back to see the new kitchen. 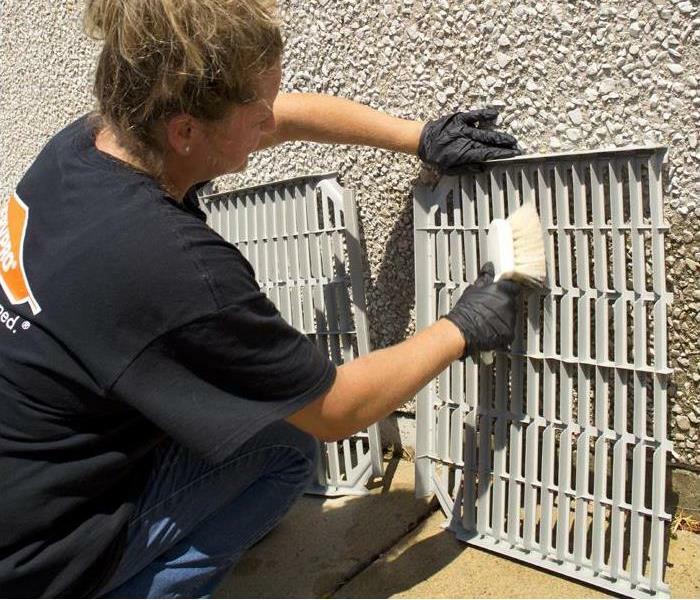 Nicole disassembled a commercial freezer racks at a metro Detroit high school to thoroughly clean and sanitize it. With just days before the return of students, SERVPRO of Dearborn got the freezers and refrigerators safe for food storage. 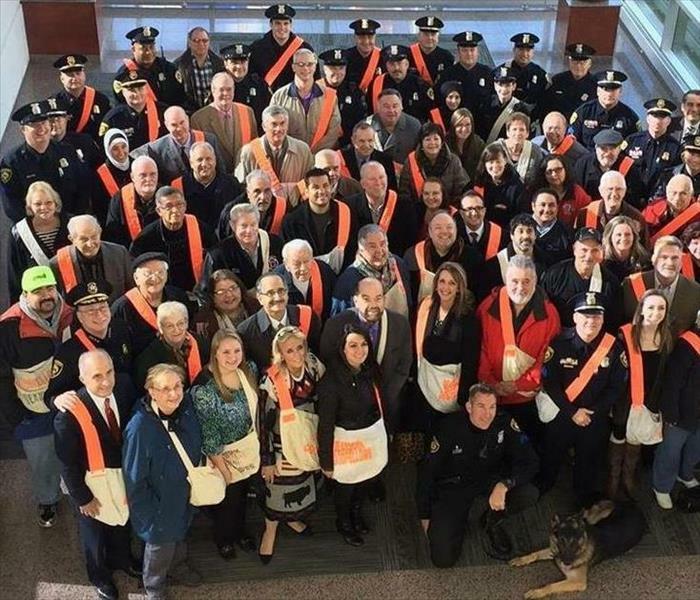 Our crew spent a day collecting donations for the Dearborn Goodfellows' "No Child Without A Christmas" 2016 campaign. We raised more than $1,500 for kids in our community. 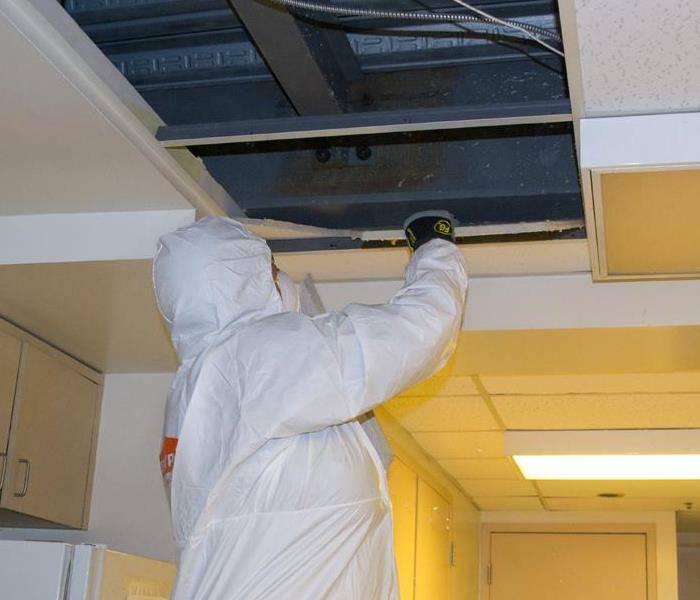 The first step in cleaning mold from this commercial building was carefully removing the ceiling tiles. Great care was taken to prevent breaking them as this may cause further damage. 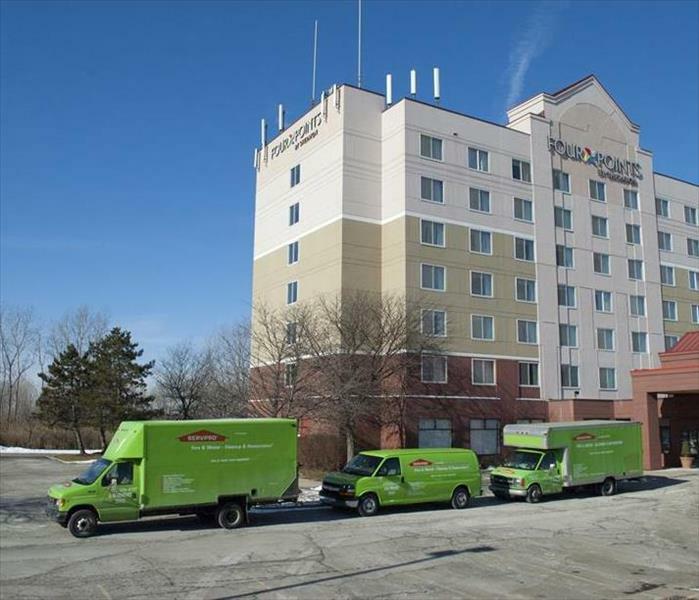 SERVPRO of Dearborn is working hard to get the Four Points by Sheraton in Romulus, Michigan cleaned up after a hotel room fire. The coffee bar at this downtown Detroit hotel needed a lot of help. Heavy foot traffic and coffee spills forced the hotel to cover it with rugs. The hotel's own efforts in cleaning proved ineffective. Our commercial cleaning team used a special process to remove the stains and refresh the carpet. The carpet looks so good the hotel no longer needs to cover the area. This makes the coffee bar not only inviting but safe. Rugs can be a trip hazard so don't cover your stains. Let the pros at SERVPRO of Dearborn properly clean, sanitize and refresh them for you. Our team arrived to a flooded Detroit warehouse at 4:00am this morning. Nicole is putting her IICRC Water Damage Restoration certification to good use today. She is quick and efficient! Jeff makes sure every piece of equipment is completely cleaned and sanitized when it returns from a job site. Everything is stacked and stowed for quick, easy access when the job next comes. Some of SERVPRO of Dearborn team helped kick off the 37th Dearborn Homecoming. The first event of the festival is the Dearborn Area Chamber of Commerce's Special All Stars Day. We were there bright and early to get the festivities started.